When I’m not illustrating caricatures and cartoons, I stay busy working as the director of art and special publications at the American Physical Sociey in College Park, MD. Here’s a series of 3 feet by 6 feet promotional banners that I designed. 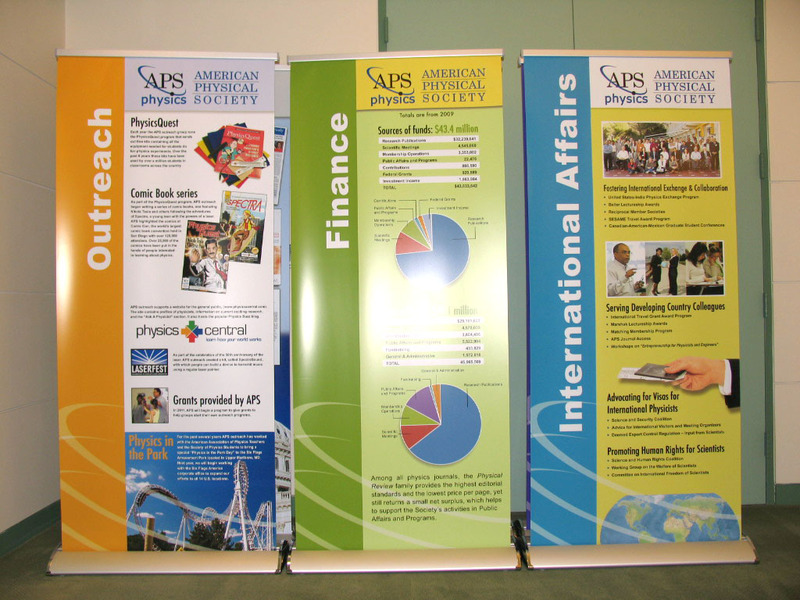 They will be displayed at the association’s booth at conferences. Here’s an online flip page version of the recent comic. I designed a sticker to be used on construction site workers’ hard hats. It also can be used as a vehicle bumper sticker. Regardless of the limited space, the sticker’s powerful message highlights the importance of science, technology and physics in today’s workplace. 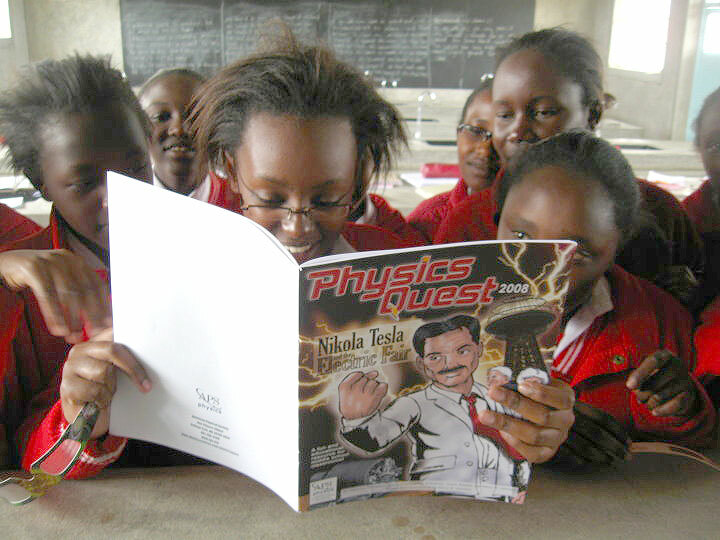 Photo by Brian Mosley, American Physical Society (www.aps.org). 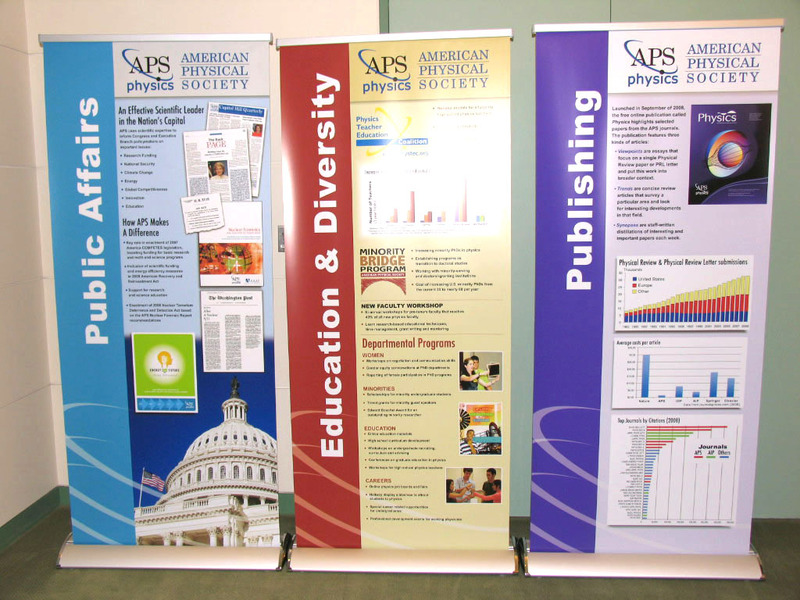 The blog “Phasing” wrote a nicely written overview about my employer, the American Physical Society. I work there as the Art Director and Director of Special Publications. Check it out >> The APS is Awesome!